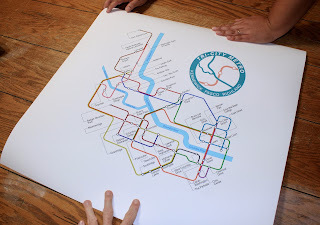 I got 24-inch square giclée prints made of my Tri-City Metro Tube Map! Obligatory etsy listing link. Again, corazón (we're engaged now!) was forced to help photograph and package prints. He was a good sport about it.